Ahead of his keynote address at the Turing Festival, Steve Wozniak, co-founder of Apple, speaks to Gail Tolley about fostering entrepreneurial spirit, the opportunities technology offers in the arts and being an artist of a different kind. Creativity and entrepreneurial spirit have long coursed through the veins of Edinburgh each August but before the arrival of the Turing Festival this rarely took the form of cutting-edge thinking in computing and technology. That’s been more than compensated for this year though with the news that Apple co-founder Steve Wozniak will be giving the Festival’s keynote address. In the context of the world’s largest arts festival Wozniak is an exciting presence in the city, highlighting the close relationship between creativity in technology and creativity in the arts. In the early seventies Wozniak designed and built the operating system for what would become the Apple I. In 1976 he quit his job at Hewlett Packard and along with Steve Jobs formed Apple Computer, which would go on to be a key player in the development of the PC. Alongside his defining work with Apple Wozniak has also worked as a teacher and supported many educational initiatives. Having dropped out of Berkeley before finishing his degree, Wozniak is acutely aware of the limitations that the education system offers in fostering entrepreneurial thinking and he believes that in the future technology might hold the answer here too. ‘The student who’s trying to think creatively or working inwardly trying to figure things out in minute detail, that’s the sort of person that gets ignored. Often that kind of creative person isn’t recognised in school. At school you get taught that there’s always one right answer and it’s not your right answer, it came out of a book. A lot of people just grew up too rigidly. That’s a problem with today’s education and I hope it changes someday when computers become human enough to be real teachers.’ It’s only then, he believes, will students will be able to have the individual attention in the classroom that’s really needed. So what can we expect from Wozniak’s Edinburgh event? The creation of Apple, the development of the personal computing project and ideas of creativity and entrepreneurship are all on the cards. ‘I’m going to give examples of creativity and talk about the importance of engineering and technologists and how easy it is to do something the second time and not the first time. I especially want to focus more than anything else on the future of technology as I see it.’ And that in itself sounds like a vision worth listening to. 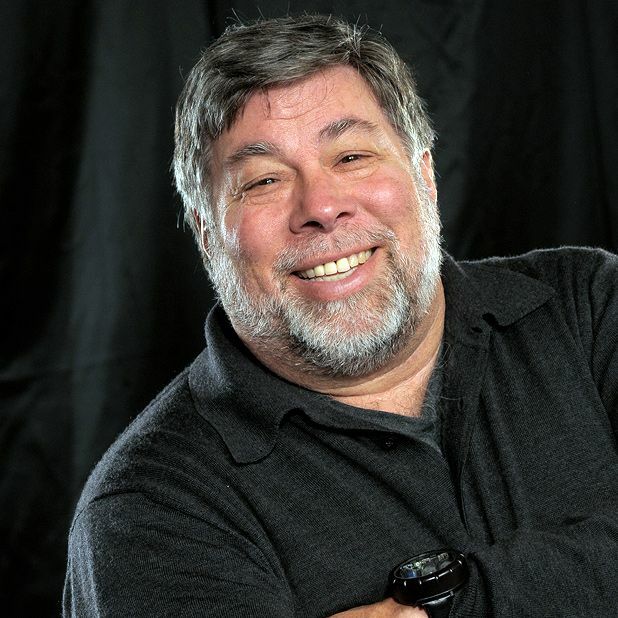 Steve Wozniak is speaking at Edinburgh Playhouse, 23 Aug as part of the Turing Festival. Hear Steve Wozniak, co-founder of Apple, talk about his life, career and the future of computers and the internet. Part of Turing Festival.